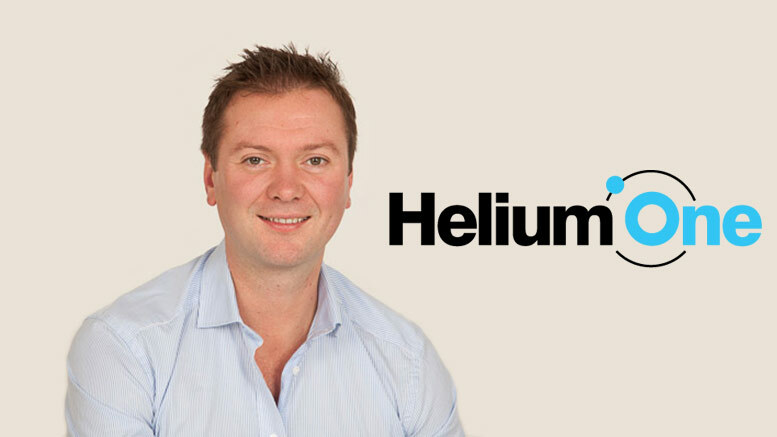 TanzaniaInvest interviewed Thomas Abraham-James, CEO of Helium One, an exploration, development and, ultimately, hopeful producing company of liquid helium from Tanzania. Helium One recently estimated 54 billion cubic feet (Bcf) of helium resource near the Lake Rukwa area in Southwestern Tanzania. The company is now looking for investors to finance the exploration program from now until end of 2017. TanzaniaInvest (TI): Helium One is focused on helium exploration in Tanzania. Why helium, why Tanzania? Thomas Abraham-James (TAJ): There was a severe shortage of helium between 2011 and 2013, and this has resulted in a sharp increase in helium prices and difficulties in obtaining the gas. During that period, I was involved in geological surveys for gold explorations in Tanzania, and together with Josh Bluett, [Technical Director of Helium One], I became aware of some Tanzanian helium measurements from reports published in the late 1950s. These indicate that helium concentrations were very high at multiple locations in Tanzania. The potential for helium in Tanzania is unique because the country has the perfect geology for helium accumulations, sourced from some of the oldest rocks on the planet. It is actually the old rocks that produce helium over time, in very small amounts. In other regions around the world, helium remains trapped in the rocks, but Tanzania is in the East African Rift, and this has let the helium escape to the surface. Helium is traditionally produced as a by-product of natural gas production but in Tanzania, there are no fossil fuels attached to the helium. It has the potential to be a green project. We actually looked at other countries in the East African Rift like Malawi, Uganda, Zambia and Kenya, but we realized that these countries don’t have the right geological ingredients for helium exploration as Tanzania does. The combination of helium shortage and the unique helium potential in Tanzania represented an opportunity that we decided to pursue. TI: You recently estimated 54 billion cubic feet (Bcf) of unrisked prospective recoverable helium resource next to Lake Rukwa in Southwestern Tanzania. How accurate are these estimates? TAJ: We know that in the Rukwa area, there are a number of reservoirs that have the potential to hold gas. This was identified via pre-existing seismic and drill data that was acquired by an oil explorer in the 1980’s. Hot springs within this area of interest have been sampled and contain high helium concentrations. Therefore, there’s a high chance that those reservoirs contain helium, which we call resources and have been independently verified by consultants in the USA. These estimated resources are part of a range of which 54 Bcf is the 50% probable helium occurrence. In the same range, there is 10% probability that the resource is 175.9 Bcf and 90% probability that the resource is 17.7 Bcf. Now we need to convert these resources into reserves and to do that we must undergo additional exploration by drilling these reservoirs. If by doing so we reach helium and we convert it into helium reserve, then we can assess how economically viable production will be. We will be finishing exploration at Rukwa by the end of 2017, when we expect to have reserves. TI: How are you financing the additional exploration at Rukwa? TAJ: We are currently in the process of raising capital, on a private equity basis for now. The capital raised will be used to collect additional seismic data, undergo airborne gravity survey and ground geochemistry. By March or April 2017, we intend to commence drilling, and by the third or fourth quarter of 2017, we will hopefully have reserves. This is when the final investment decision as to whether or not to enter production will be taken, but we are already open to investors. TI: What is the minimum amount of helium reserves needed to make the Rukwa project commercially viable? TAJ: We consider a minimum of 10 Bcf to be reasonable target to warrant the capital expenditure required for a large scale helium plant. It is worth mentioning that we are optimistic that our current resource estimate is just the starting point and that we anticipate it to grow as we conduct the additional exploration activities. As we are still in the process of converting resource to reserve, investing in a project like ours can be compared to investing in an early stage gold mining project: the dynamics and the risk profile are similar. TI: What is the size of the capital you are looking to raise? TAJ: Our estimated costs at the Rukwa project from now until the end of 2017 are USD40m. This will be conducted via private equity finance, however we are keeping an open mind to listing. TI: In addition to Rukwa, you have other prospective licenses in Tanzania, in Eyasi and Balangida. What is the current status of these projects? TAJ: Rukwa is the most advanced of our projects. For Eyasi and Balangida we have to collect seismic and drill-hole data. Our intention is to get those projects up to speed with Rukwa by quarter two of 2017. TI: Are you pursuing any other helium projects in or outside of Tanzania? TAJ: No, we are only focused on helium, in Tanzania. TI: In a nutshell, why invest in helium in Tanzania with Helium One? TAJ: At the moment, global annual demand for helium is approximately 6 Bcf, but it is growing. Helium is not comparable to oil or natural gas in regard to revenue, but it is a niche market with plenty of upside potential. Helium is very much used in high-tech industries and its applications are increasing. After the helium shortage of 2011–2013, the certainty of its supply has been lacking since then. We believe that Tanzania has the potential to produce large reserves of helium and the country could greatly add to the helium global supply. Tanzania shows the perfect geology for helium. This means that we can more easily increase or decrease the helium production to match the demand. Last but not least, Tanzania has the right legal and investment framework.